A small to medium sized star late in its life, when it has used up its hydrogen in nuclear fusion and starts burning heavier elements. A small to medium sized star late in its life, when it has used up its hydrogen in nuclear fusion and starts burning heavier elements. When this happens, the core collapses and heats up, and the outer layers of the star expand. The expanding outer shell cools down, giving the star its characteristic orange-to-red colour. The Sun will eventually become a red giant, expanding to a point where it will probably engulf the Earth. When this happens, the core collapses and heats up, and the outer layers of the star expand. The expanding outer shell cools down, giving the star its characteristic orange-to-red colour. 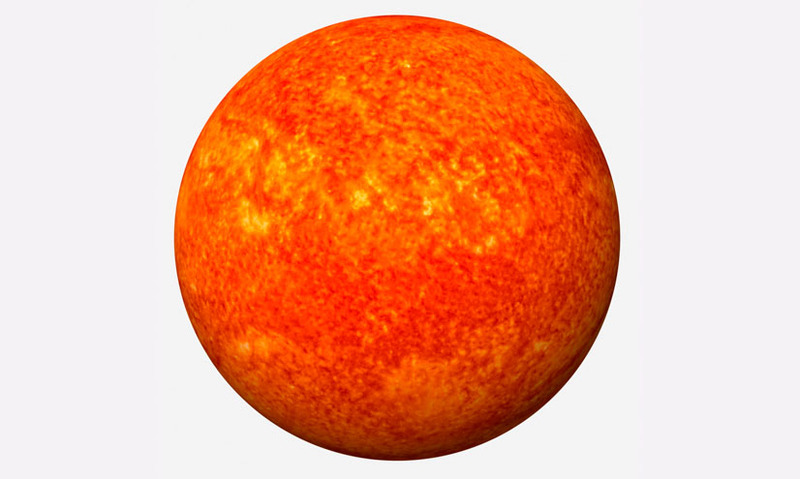 The Sun will eventually become a red giant, expanding to a point where it will probably engulf the Earth.